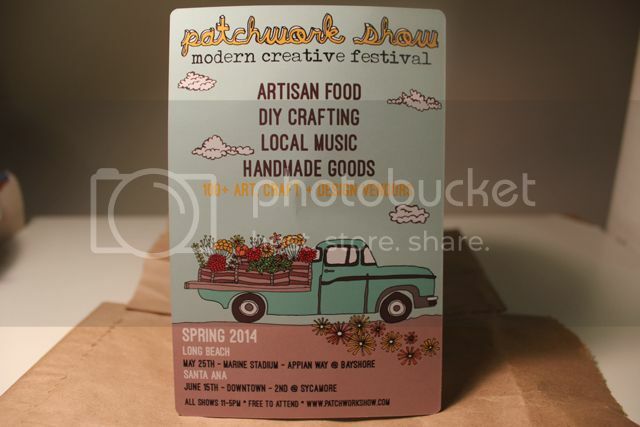 A few weeks ago in May, Jim and I went to the Patchwork Craft Show in Long Beach. Craft shows are my thing but Jim was excited for the food trucks and live music so we made it a date. Let me tell you, it was great! 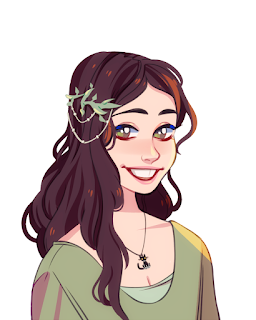 The weather was perfect, the music and food hit the spot, and I found quite a lot of treasures. 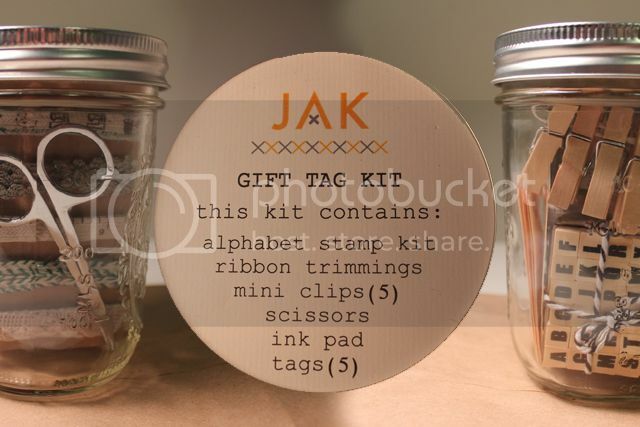 The first thing I want to show you is this gift tag kit from JAK. At only $15, it was a steal. (I've seen those mini alphabet stamp kits for close to that by themselves!) I'm a sucker for craft supplies, A+. 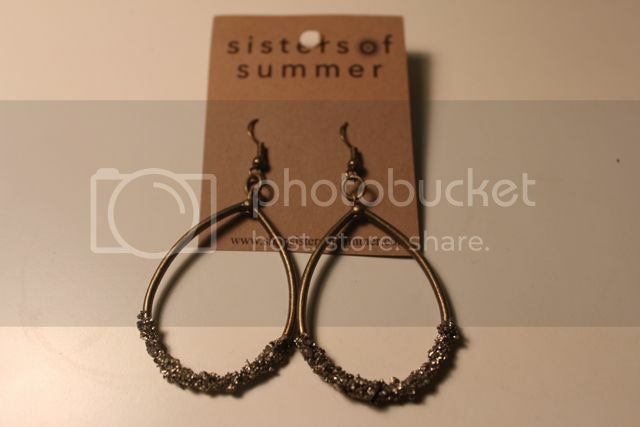 Next were these pretty earrings from Sisters of Summer. They were also a steal at $5. I have not had a chance to wear them yet but I like the sort of steampunk feel they have. Comics! There was a table full of Mr. Toast stuff (I don' know who Mr. Toast is, but he's super cute.) 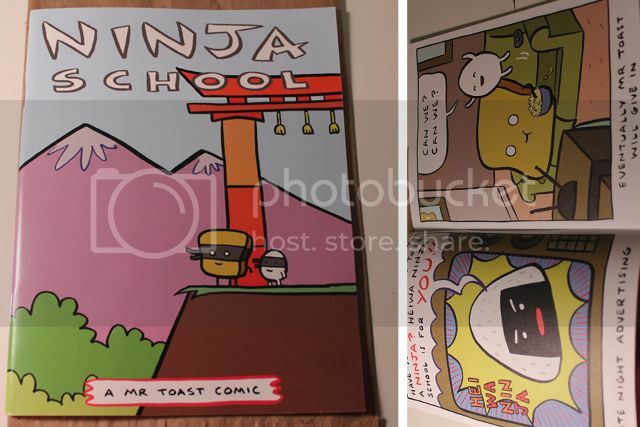 Jim picked out Ninja School as the comic we should take home. I think it had something to do with the Tori gate on the cover...hehe. Jim found something as well! 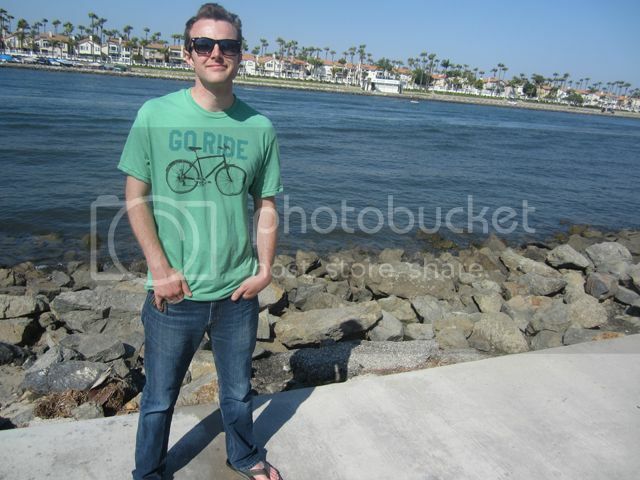 This Go Ride shirt is perfect for him, as he rides his bike to work quite a lot. I don't remember the name of the company he got it from but they had tons of cool shirts. Craft fairs are the best! I hope one day I can sell at them again. Till then, I'll seek them out and enjoy discovering all the goodies!